The Marshall JCM800 is a legendary line of amps that’s been around since before the 1980s. The amp has become simultaneous with the heavy rock from that era and has gone on to influence a whole new generation of rock. Is it the right amp for you? How Do I Know Which Amp is Right for Me? What Makes the Marshall JCM800 Unique? What’s it Like to Play With the JCM800? 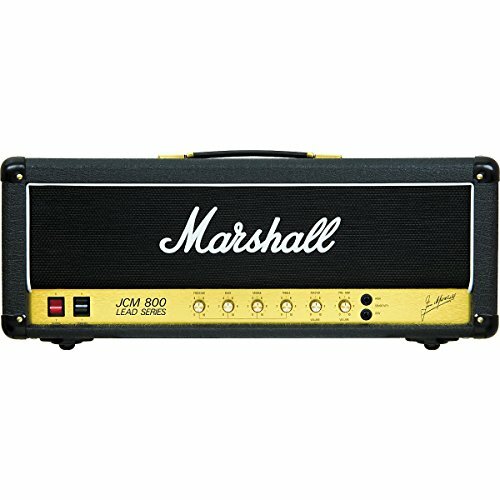 What Do Other People Think of the Marshall JCM800? We discuss all things amps, Marshall, and the JCM800 in this review. Learn how it got its start (and its name), plus discover whether or not it’s right for you. Finally, we compare the Marshall JCM800 lineup--all are great, but they’re not all the same. Keep reading! Jim Marshall was the owner of a music shop that offered drums, cymbals, and so forth, as well as guitar lessons. Friends of Marshall, including guitarists Pete Townshend, Big Jim Sullivan, and Ritchie Blackmore, would visit Marshall and explain that American amps (Fender dominated in the 60s and 70s) didn’t have the crunch they were looking for and were too expensive (Marshall lived across the pond in the UK). Marshall hired his shop repairman and two EMI apprentices to create their own amp. They based it on the Fender Bassman amp, but used larger speakers and kept the cabinet back closed. They also structured the electronics so that the amp had more gain than the Bassman--and so it hit overdrive faster. They also boosted treble frequencies, all of which helped to create the fuzz or crunch sound that 80s rock came to be known for. Adding to their popularity was the fact that they were cheaper than Fender and once high-profile musicians Eric Clapton and Jimi Hendrix started using them, they became insanely popular. More or less, they’ve stayed just as popular over the decades. Of all the amps Marshall has created, the most popular, hands down, is the Marshall JCM800. 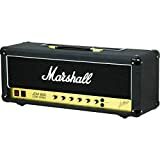 It was created in the 70s, but in 1981, Marshall relaunched the amp, giving it its distinctive black grille cloth, gold control panel, and white logo. The 800, as it turns out, was the Marshall’s car’s number plate. Two years later, Marshall added the two-head 2210 to the JCM800 lineup, and then in the 90s, phased out the 800 line altogether in favor of the JCM900 amps. 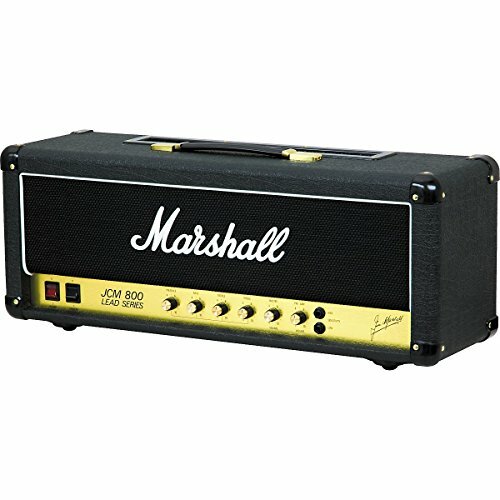 In 200s, however, Marshall reissued the JCM800 with a 100-watt head (the 2203). Tube amps have been considered the only choice for truck rock and roll guitarists since the beginning. While they’re not the most technologically advanced nor the most convenient (you’ll have to replace tubes at some point), they are loved for their sound. The fluid sound profile, killer fuzz, and deep growls are very difficult to produce in any other way. However, these days, two other types of amps are becoming more and more popular: modeling amps and digital amps. Thanks to better tech, these two amps are interchangeable for many musicians now! Plus, modeling amps can allow you to switch from different cleans, crunches, and distortions by just flipping switches. Most still allow a digital vibe to come through, but the best modeling amps are virtually indistinguishable from the real thing. Ultimately, what you should get comes down to a combination of what you can afford and the kind of sound you’re looking for; the good news is, there’s an amp for everyone and every budget! Two of the first terms you’ll hear when you’re shopping for amps are “head” and “combo.” A combo unit integrates both the amp and the speakers into one while you can also purchase an amplifier (the head) separate from the speakers. Again, there’s not a right or wrong setup here. What’s important is that you find what works for you, gets you to the most play time possible, and helps you play at your best level. In addition to deciding whether or not you want to put a head on your stacks (speakers) or purchase a done-for-you combo, you’ll also have to make decisions on the speaker size and power of your new setup. While more power usually costs more money, it’s also true that you can grow into an amp. So, unless you specifically want something that’s super movable, you don’t necessarily need to get a practice amp that’s under 10 watts. Frankly, it depends on your particular circumstances. Behind its rich history and legendary sound, there’s a lot to love about the Marshall JCM800. We’re hard pressed to find another amp the elicits such a deep response from players--most people are shocked at how much power this thing puts out! And you don’t need to take our word for it. 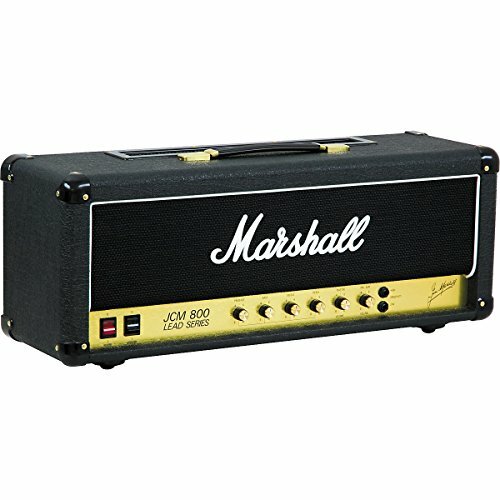 Today, Zakk Wylde (Ozzy Osbourne’s guitarist), Kerry King of Slayer, and Angus Young of AC/DC use and love the Marshall JCM800--though they’re more likely to have the head hooked up to a full stank and cranked all the way up. 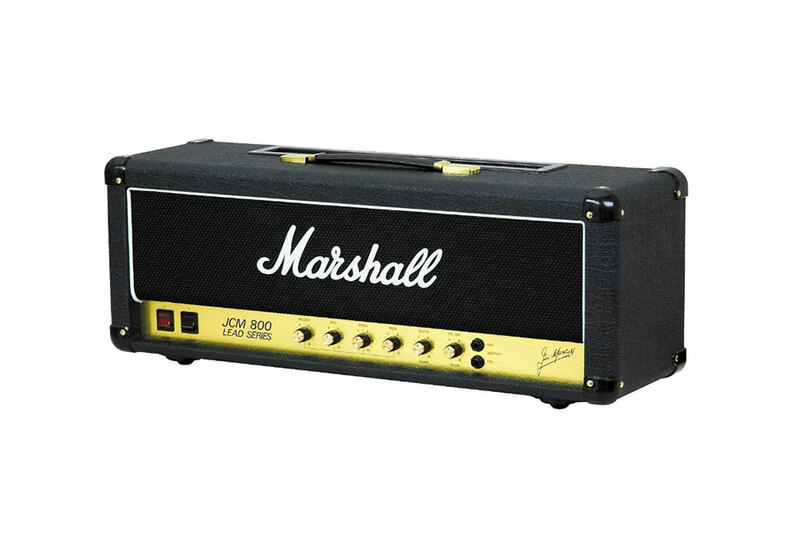 Here are the basics: Marshall calls the JCM800 one of its vintage reissues. There are many different issues and reissues of the JCM800 which you can buy used or new, but we’re going to focus on the most recent JCM800 reissue, the 2203. The 2203 also comes with a series effects loop. This effect has a true bypass operation; if you keep your pedalboard well stocked, you’ll appreciate this. The JCM800 is known for its “tonal tenacity,” in part because it was one of the first amps to feature a master volume and because it’s one of the few vintage reissues to feature the same. The EQ settings are extremely versatile, so even if you’re not playing heavy metal or rock, you’ll still appreciate the bright cleans of the sound coming from the speakers. You’d expect an amp that’s been around for decades upon decades and designed to handle huge stadiums to be durable, and then JCM800 doesn’t disappoint. It’s also old enough at this point to have become vintage again, though honestly, it never did go out of style. Musicians love playing next to that black heavy-duty vinyl box with the sturdily reinforced corner caps. The 2203 also features the iconic gold front panel and the white Marshall logo front and center. It’s considered a “players amp” since the controls are so simple and straightforward to use. There are a few on the back, but most are lined up on the front, easy to turn and easy to reach. Speaking of controls, the JCM is single-channel so that you won’t be dealing with any foot switches. Plus, you’ll probably have just as much fun as we do with the master volume since it will crunch louder as you drive it harder. 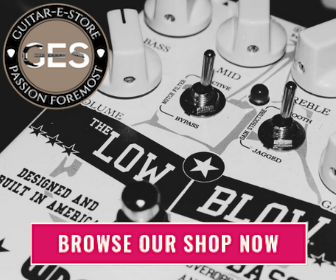 The series effects loop is on the back, which is helpful, and great for musicians who rely heavily on pedals and especially musicians who like to switch pedals in and out. There are a lot of excellent YouTube videos posted by musicians showing you how the JCM800 sounds. We find these are helpful but no substitution for trying the amp out for yourself. However, most players report that this is an amp that “really makes you work the guitar” and produces everything from clean, bright tones, to “buttery warm, vintage sounds.” It’s exceptionally versatile, especially when paired with excellent pedals. It’s worth noting that there are always detractors who think the Marshall JCM800 is too simple and not versatile enough. We, however, don’t find this to be true. Instead, most advanced guitar players point out that an amp with an excessively long manual can keep you from getting in the play time you want. Plus, if you have a good working knowledge of pedals and how to use the overdrive and FX loop, you can get just about any sound you want out of the JCM800. It’s hard to argue with this logic, especially since so many great classic records were recorded on this very amp! Todd also explains that it is “physically uncomfortable” to stand next to the amp at the volume he’s got it on, even though he is wearing two types of ear protection. Todd feels he has to clamp up on his technique quite a bit to get a great sound but feels like it’s a worthwhile experience. He just won’t be playing the amp turned up all the way anytime soon again! A hobby player who calls himself “Kelster’ Von Shredstre” on YouTube posted a video of himself using his brand new Marshall JCM800 in late 2017. He starts by playing clean; you can tell the sound is crisp and tonally clear, even with the master set at less than two and the preamp set at one. He then cranks the preamp, and you can hear the distortion start to kick in early. After playing several minutes, he laughingly says, “my ears are numb.” He later reveals himself to have never been a Marshall fan before--but this amp has changed his mind! Finally “Ocsi Pepe” tries the Marshall JCM800 with four different celestial speakers and shares the sounds in a video posted in March of 2018. He only plays in his videos, but it’s nine minutes of proof that this is an amp with terrific tone and tremendous power! More than anything, the Marshall JCM800 has that “it” factor that’s difficult to put into words and simply needs to be experienced for yourself. Should it become part of your gear arsenal? We think the answer is a definite yes!